Throughout the weekend you will attend workshops structured to help you take time to observe and create. Anticipate to be inspired, connected and rejuvenated by the ideas, food, atmosphere and artists who have come together to reveal the joy of observation they find in their own personal practices. This retreat, as much as possible, is meant to be a social media free weekend. The goal is to reconnect by disconnecting. We ask you to keep your phones in your rooms as much as possible but we also understand that people may need to be reachable. Each meal will be lovingly curated by Lisa Janz who will be using locally sourced food wherever possible. Our location, Namaste Esperanza, is a space created for hosting creative retreats and workshops. The grounds are peaceful and secluded with beauty in every corner. The accommodations include a fireplace, hot tub, ample sleeping room, large dining room and outdoor trails. "[Highlights were] taking in such gorgeous surroundings, being able to meet other like minded, creative folk, breathing, resting, feeling at peace. All the workshops were amazing. Every meal was exciting." 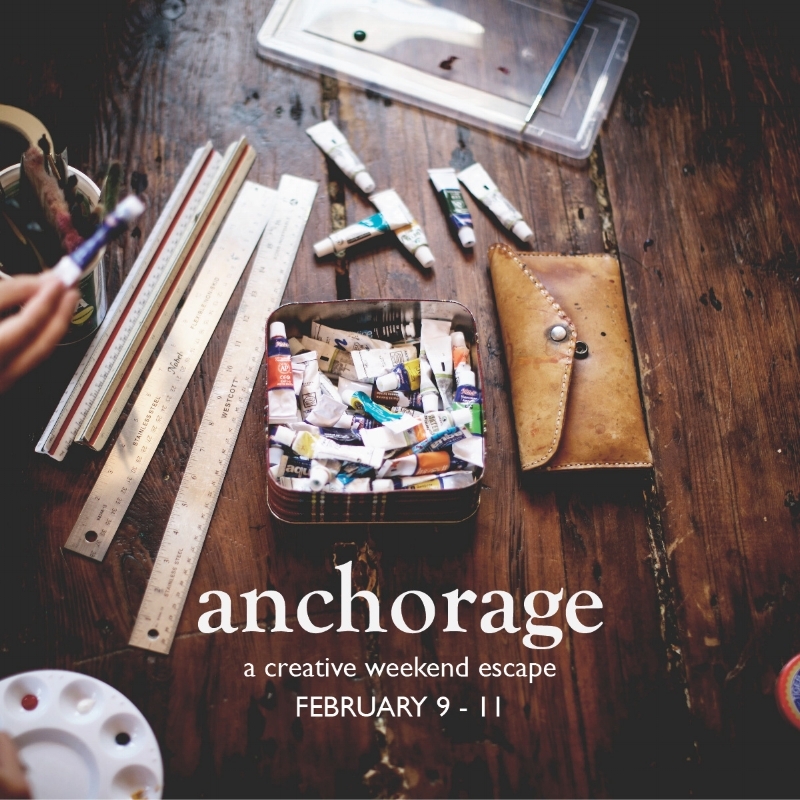 Anchorage Retreat is a creative weekend with local artists Deedee Morris, Judith Brannen and Alissa Kloet along with yoga instructor Linda Thieu. It is a space for women to come together and take the time to reconnect with themselves and their creative instincts. 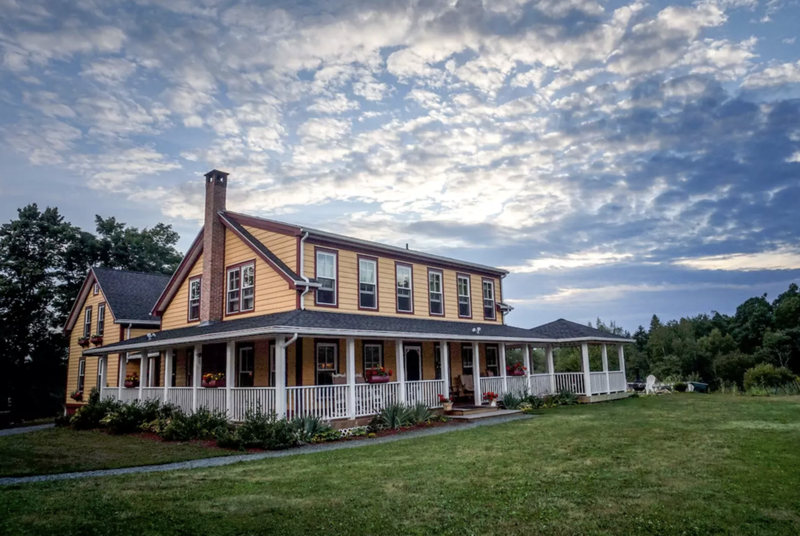 For those looking for a place to disconnect from the everyday, Anchorage Retreats provides the space to begin again the important practice of paying attention. Through creative and mindful exercises, active participation, and self reflection, our hope is that this weekend inspires you to begin or reenergize your own creative practice. Our weekend starts at 7pm on the evening of Thursday February 8 with an informal night of wine and snacks. All of the workshops take place on Friday and Saturday with free time and yoga breaks scheduled in. Finally, we have a relaxed morning on Sunday with a final breakfast and weekend recap to set intentions before heading off. "Thank you so much for such a beautiful experience. I actually came home to a super difficult situation and was able to think calmly and peacefully through it and I think that was a direct result of the rest and peaceful weekend!" Find out more about the workshops, location and itinerary below. An afternoon of digging deep into one’s Self through conversation and photography. Join me for an opportunity to explore the story behind your self portrait. This workshop does not require any photography experience or a fancy camera. The space will be safe, the hope is for vulnerability with yourself and with the others in the group. Helpful tips on how to take a self portrait will be explored, but the main focus of this workshop is self exploration through the medium of photography. Exercises in the medium of watercolour to get the juices/colours flowing, literally. It will be a beginning of exploration using the metaphor of colours and forms influencing one another. The secret of watercolour is water- it’s the catalyst for freedom: to allow thoughts and experiences and outside influences to interact. Perfect control would be so boring! Explore the trail and our retreat's location in a thoughtful and contemplative way. We will take time to record the connection we have to our surroundings through an active map making exercise. Our marks and experiences will be translated into a stitched piece while we share conversation about our different perspectives and what we've take notice of. No drawing or stitching experience is needed and all supplies are provided. Awaken to possibilities with morning yoga. Opening with pranayama which is Sanskrit for the extension of breath and life force. This is a customized sequence for the weekend's retreat connecting the mind with the body. Exploring vulnerability, honesty, and authenticity. This all levels slow flow will link breath and movement. Create space for energy to glide with open hearts and open minds. All meals plus snacks for Thursday night, Friday, Saturday and Sunday morning. Cost of all the workshops and yoga session. Deposit of $200.00 to secure your spot. This retreat is limited to 12 people. Register as soon as possible to guarantee your place. Carpool options and airport pick ups can be arranged. The location is 45 minutes from downtown Halifax and 50 minutes from the Halifax Stanfield Airport. Something to take a photo with. Anything from a DSLR to a cellphone will do. Snowshoes and ice skates are optional if the conditions are appropriate. Yoga mat is optional. They can be provided. Want to know about other workshops and retreats? Sign up with your email address to receive information about future events.